Heading to the Czech Republic and not sure where to stay in Prague? 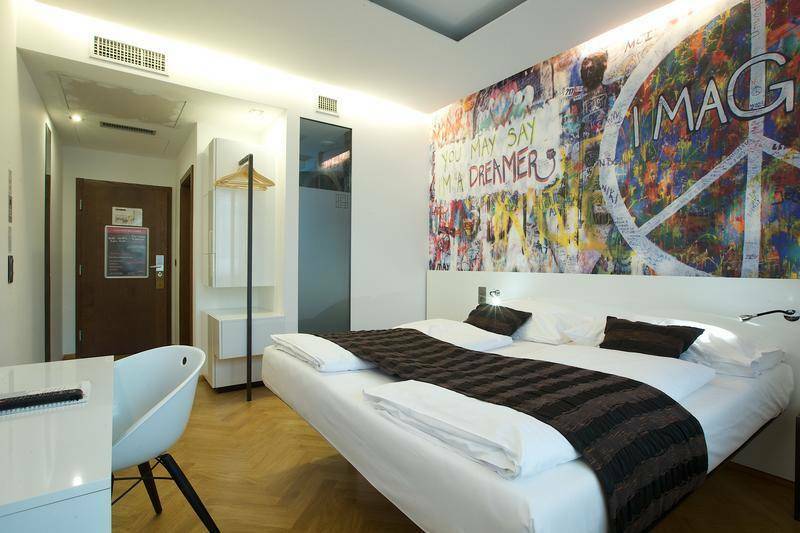 Pick one of the following best hostels in Prague and enjoy this magical city in comfort. Prague is without a doubt the most beautiful city in the Czech Republic and one of the must-visit places in Europe. The cobbled lanes, hidden gardens and swan-filled Vltava river make for an idyllic urban retreat. With such a rich concentration of sights, Prague is easily explored, even with limited time. The good thing about visiting Prague is that you don’t really need to break the bank to visit. 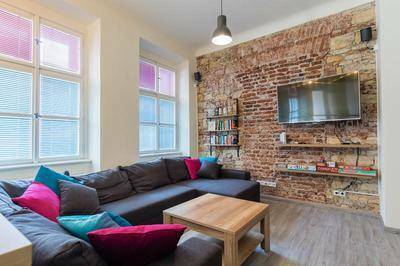 In recent years, a large number of budget hostels in Prague offer a great location as along with comfortable beds and plenty of other facilities. 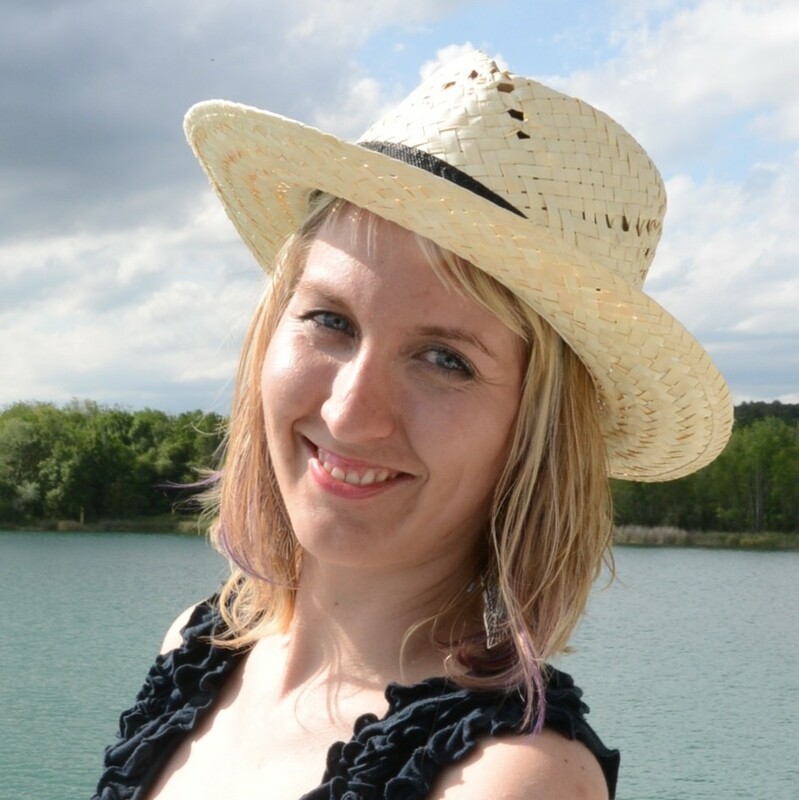 Are you wondering how come I know so much about the best hostels in Prague? I have been trying out numerous hostels for the past two years. Although I come from the Czech Republic, my home city is located pretty much on the other side of the country, so I still need to find accommodation when in Prague. No matter whether I was heading there for one night before catching an international flight or for prolonged stays to visit friends, I have always tried a new hostel. Through trial and error I have finally figured out my favorites and now always return to those. In this guide, I focus on comfortable and cheap hostels in Prague. 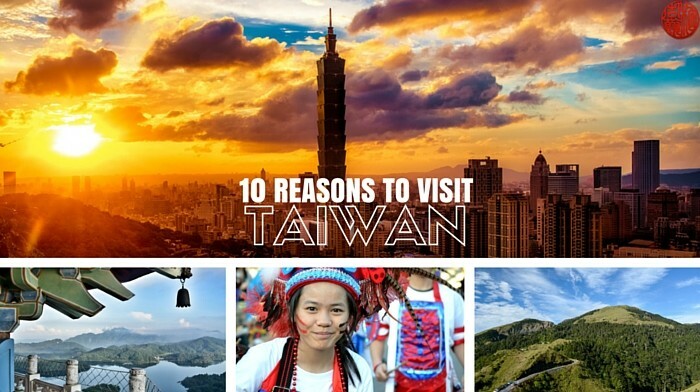 These are great options not only for backpackers but anyone else who loves being immersed in the travel community. Below you can find my list of the best places to stay in Prague. 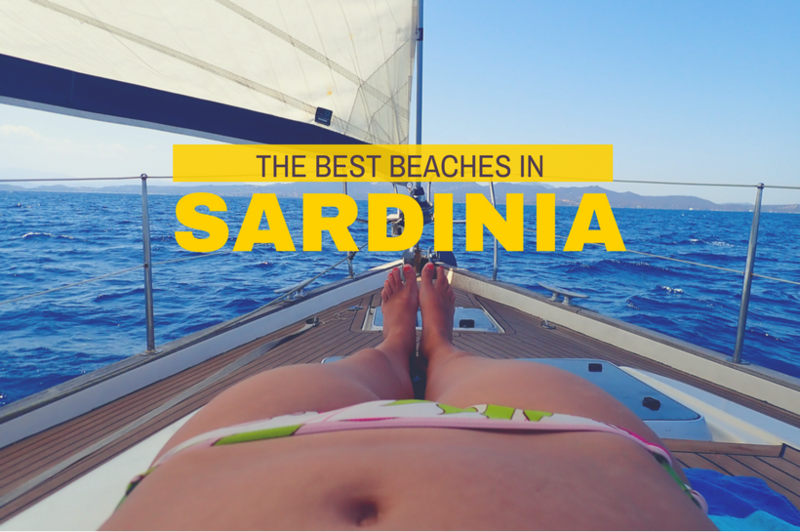 Each of the places has its own kind of magic – so pick your favorite! 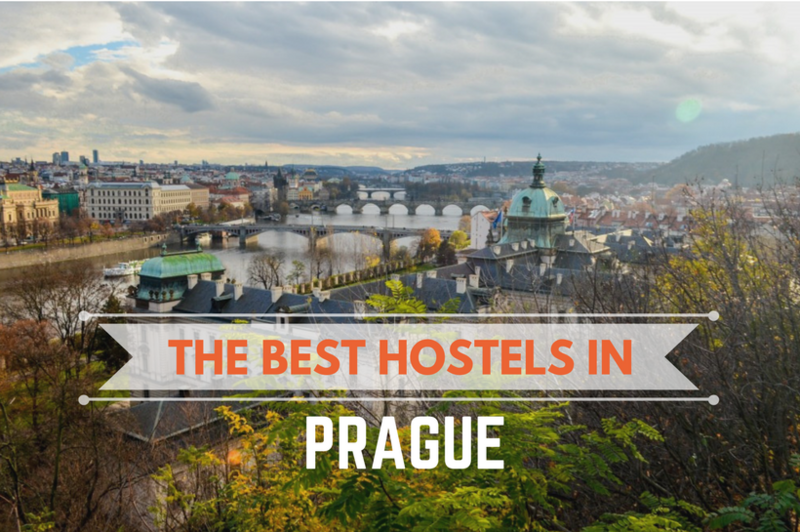 Why is it one of the best hostels in Prague? No matter what kind of traveler you are, Mosaic house is always a great choice. With its quirky design, great location near the Vltava river and sustainable technology, Mosaic house makes for a great choice. By the way, it’s one of the most eco-friendly hostels in Europe. I found Mosaic house by accident: I was attending an event nearby and instead of travelling across Prague at night, I decided to book a room here. I completely loved it and have stayed there many times since. It’s clean, safe and their bathrooms are still shiny thanks to a recent renovation. On top of that, their breakfast buffet is pretty amazing (and worth the extra fee). Check the latest price on Hostelworld or the Hostel’s Website. Among the more than a hundred hostels located in Prague, Post Hostel stands out with its bright and spacious rooms and international atmosphere. It is run by bunch of expats from all over the world that are not only helpful but down to earth and incredible people. If you are coming to Prague solo, this is the right place to receive a warm welcome and feel right at home. Rooms are bright and with a high ceiling that makes them feel even more spacious. The beds are comfortable, providing a high level of privacy (I stayed in the shared room so the privacy curtains were amazingly handy!). You can never get bored in this hostel; the social room features table football and other board games. There are daily events such a pub crawl. If you stay there during the summer, an amazing beer garden (Riegerovy sady) is just around the corner. And they have their own live-in hostel cat, usually to be found in the social room. She loves to be cuddled! 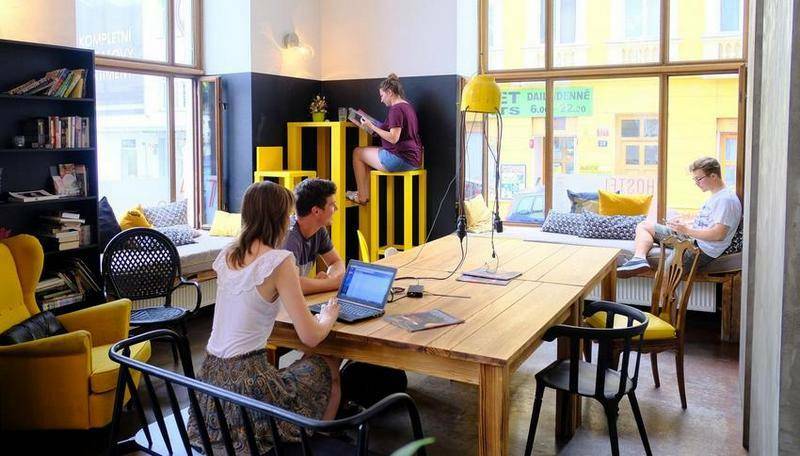 Sophie‘s hostel is a chic and modern hostel located in the New Town of Prague about 20 minutes’ walk from the major sights. It’s the very first boutique hostel in town; both the designer and the artist who decorated this place did a fine job. 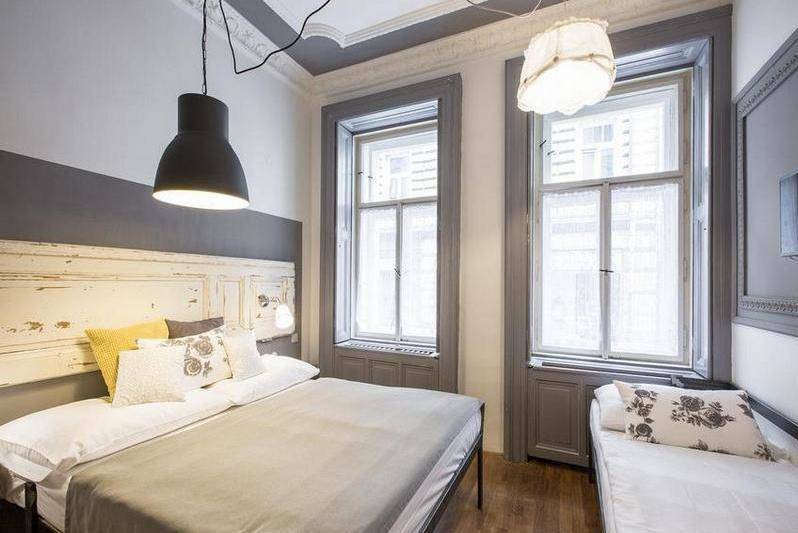 No wonder it’s regularly ranked in lists of the most elegant hostels in Europe. The rooms are nice, quiet and feature some cool facilities; while staying in the 5-bed mixed room, there was an en-suite bathroom and a kitchenette just for our room. Make sure to have some drinks (tap beer, yay!) in the cozy bar located on the ground floor; its open 24/7. And in case you fall in love with Sophie’s hostel, you can stay in their new property in city of Olomouc, too. Thanks to its unique visual style in an amazing Art Nouveau Building, its impossible to forget a stay in Sir Toby’s. It was one of the first modern hostels in Prague I stayed at and today it still looks like the day I first entered. This place has quite some personality! Instead of numbers, the rooms have their own unique names and are equipped with antique furniture. I have stayed in the shared room (spacious and with huge lockers), but their private rooms on the upper floors are equally great. They organize free BBQ every week and there is very cool brick basement bar. 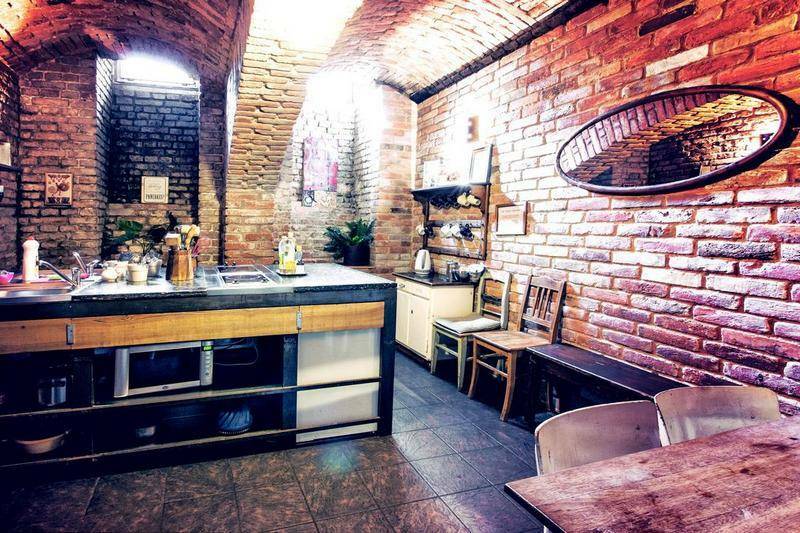 Although its not located directly in the city center, but in the cultural district of Holesovice, Sir Toby’s is still a great choice for backpackers. If you want to go out near the hostel, you can try La Fabrika, which features live music and performances. Czech Inn has a smashing 9.1/10 on Hostelworld, with more than 5000 reviews. Yes, there is something cool about the hostel, I must admit! It’s located in a 19th century building that has been preserved to the highest standard. If you are on a tight budget, then Czech Inn in one of the best hostels. I highly recommend the premium dorms; they feature single beds (no bunk beds) with a locker under each one. Another great thing is that there is a safe with a power socket inside so you can safely leave your phone charging. Each room offers an extra seating area with table and chairs, so as a digital nomad can get lots of work done. Although my favorite five places are mentioned above, there are for sure more amazing hostels in Prague. In order to make sure that everyone can find something to meet his or her preference, I decided to expand it to the TOP 10. Below you can find some more Prague hostels that also deserve attention. A historical hostel located in a 17th-century baroque building. This is the best place to stay in Prague if you are longing to be as near to the legendary Charles bridge as possible. The Petrin and Prague castle are just around the corner. Plus, there is free breakfast! Are you into design? 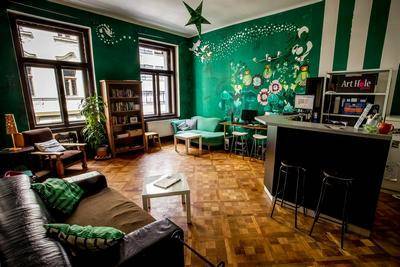 The Art Hole Hostel is one of the most colorful budget hostels in Prague. Booking a night in one of the four-to-sixteen mixed dorms, you can enjoy the bright colors, bold patterns, and imaginative designs on the walls. A true home away from home. Shining new, The Road House Prague is comfortable and spotlessly clean. Carefully developed by people who are travelers themselves, all facilities are useful and functional. If you are into parties, then the funky Hostel Downtown is the best place to stay in Prague for you. There are great events and daily outings. Also, they’ve got lots of instruments that you can borrow and play including a guitar and piano. What’s more, the view from the hostel in gorgeous. The most convenient choice if you are arriving in Prague by bus. Located next to Florenc station, this is a safe and comfy place where you can spend your first night before getting to the city centre. It features bright rooms, free buffet breakfast and several entertainment options, including board games, darts, cards, and more. Let me know what your favorite place to stay in Prague is! I am curious to hear about your experiences! Wow some of these look like boutique hotels! I love Sophie’s — that’s where I’d stay 🙂 Hope to visit Czech one day. Wow, about US$10 per night! They look comfy and clean. But I would prefer a private room with T&B. I wonder if they have them and how much would they cost? Planning a trip to Prague. This is a great comprehensive list of hostels. You have covered a range of locations, costs and amenities. We are visiting Prague in April but are past the point of looking at hostels. But I will keep this for reference if our kids want to follow our path. Wow you seem to have found some really amazing hostels in Prague! I love the look of Mosaic House (and the colorful mosaics on the walls) as well as Post Hostel (love how they’ve utilised the theme!). Also, Sir Toby’s looks pretty cool. Thanks for these suggestions! Hey Medha! Yes as a local I am pretty glad we have some great places to stay in Prague, even for people who didn’t rob a bank! I had the horrible experience of finding every single one of these hostels fully booked when I went there in 2015. I really missed out on them, and I’m looking forward to visiting again in a couple months. That kitchen in Sir Toby’s looks really handy, although as a digital nomad I’d probably end up at Czech Inn. We normally do not stay in hostels, preferring the privacy of hotel rooms. 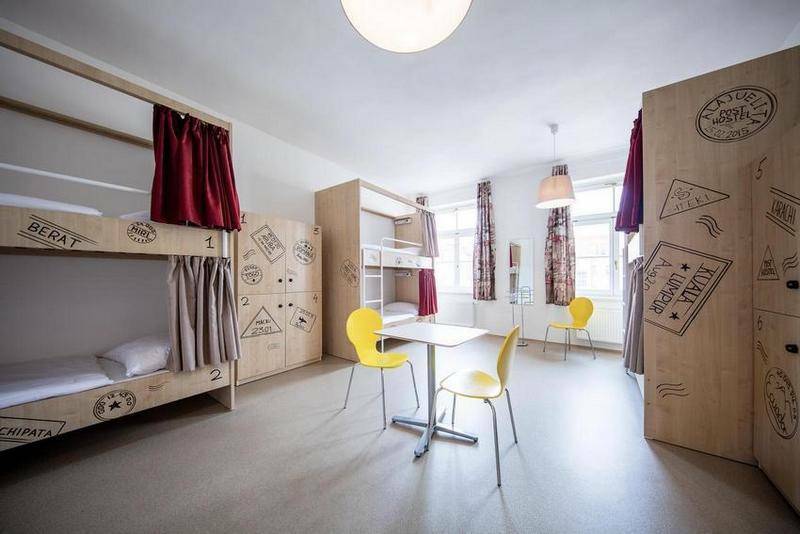 However, these hostels make us rethink on this. These look so good that they are sure to give some of the luxury hotels a run for their money. The pick of the lot is Mosaic House. Its decor looks so inviting. I can understand you. Maybe you could get a private room then. Hostels are so much fun than hotels! Thanks for this comprehensive list of awesome hostels. Some of them are so artful that one could stay there just for that 🙂 . They are all so cheap when compared to wetsern Europe, Singapore or even HongKong. I remember spending USD32 a night in Singapore which was the cheapest I could find. You are right! Hong Kong and Singapore are really pricey and I think there is a lots of hostels at all! Those are nice. Sir Toby’s looks cool. Loved Prague, I stayed at a hotel with a huge room. Definitely will keep these in mind, especially with such great prices. You should! Staying in Prague and choosing a hostel can save you lots of money! Sophie’s Hostel looks perfect! I love the design of it. And as a solo female traveler, it has everything I would be looking for in a hostel. I agree! There are not so many boutique hostels in Prague, and this one is really the best!